Hello every one 🙂 It is a long time since I put up any sweet post haha, I mean a dessert post. I have one awesome reason to do so today. 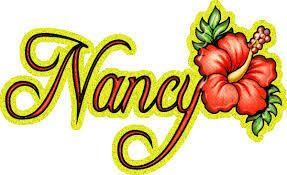 It was a long time since I heard from my sweet friend Nancy of Feasting with friends who was on a medical leave. I was really missing her presence. So when I got her lovely comment on my post after a period, which seemed to me like ages, I was overwhelmed with joy. This calls for a celebration. And what better way to celebrate than whipping up a quick dessert and Feasting with friends. Scrape the cream off the Oreo biscuits and crush the biscuits finely. Add melted butter and sugar. Spread on a greased baking tin (springform) and press firmly.Chill in fridge for a while.Bake at 120ºC for 10 minutes in a preheated oven. Cool and Chill again. Whisk the cream cheese and cream separately till light . Add sugar to cream and whisk well till fluffy. Add vanilla pod or essence. Add the cream cheese. 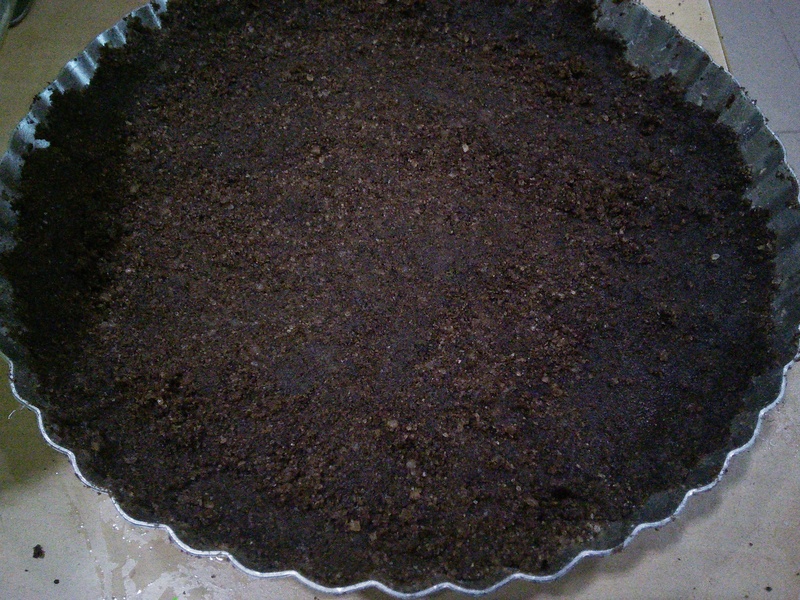 Spread evenly on the baked biscuit crust. Smooth with a palette knife. Set in fridge for five to six hours. If you mind the extra calories, substitute half the cream cheese with hung Greek Yogurt. 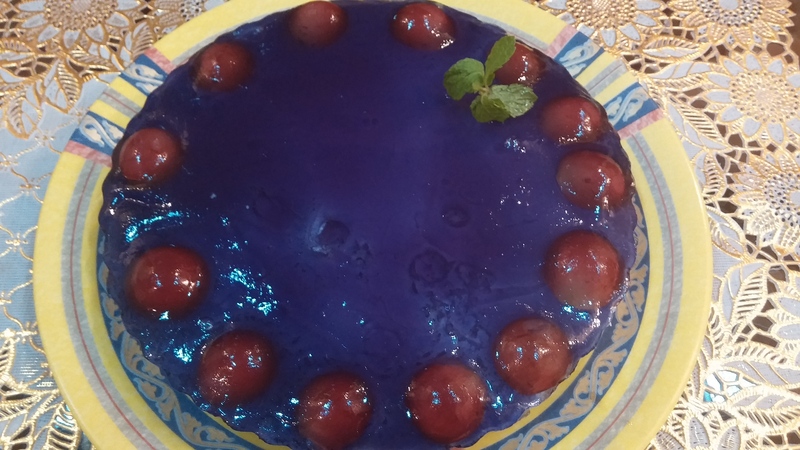 Decorate the cake with grapes. Prepare jelly as per packet instructions. Carefully spoon out while still hot onto the cheese cake. Chill in the fridge overnight or for atleast 4-6 hours to set. Carefully remove the sides of the spring form pan and serve chilled. I am taking this cheese cake to FF 30 at the Novice Gardener. This week’s fiesta is being co hosted by Margy @La Petite Casserole . Come on every one. Join the fun and celebrations. looks delicious! 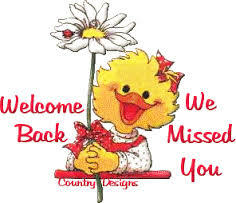 Welcome back dear Nancy!!! ❤ ❤ <3! wonderful post dear friend! Thanks a bunch Nimmi 🙂 Aren’t we all glad to have her back!!! This sounds delicious, and yay for dedicating this to Nancy! Just love her, and yes, she has been truly missed!! Thank you so much dear 🙂 I thought that was the least we could do for her. Wish her and all of us good health and happiness.. Thank you so much Angie 🙂 Nancy earned that special place in every one’s hearts. 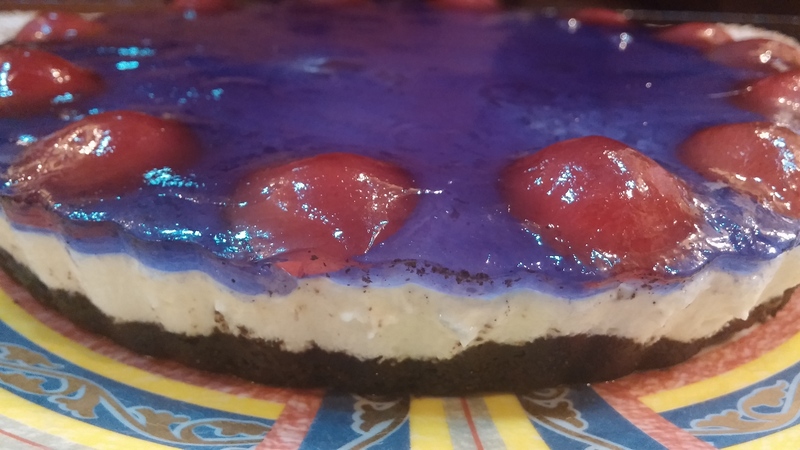 Yumm – the combination of the chocolate biscuit base and blackcurrants reminds me of a scrummy black forest geteau that my sister and I loved when we were girls – it works every time! Happy Fiesta Friday to you! What a wonderful tribute to Nancy and a beautiful contribution to FF! Wow! Thank you, thank you, thank you! In my opinion the sweetness is all about YOU in this post. 😀 Your kind words are making me tear up a bit…such a lovely gesture! Please know I am not only humbled, but greatly appreciative too! 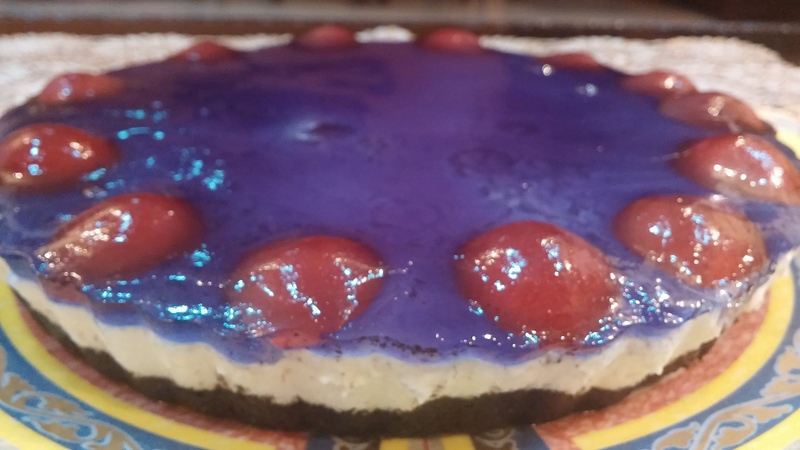 And in regards to this delicious looking cheesecake…Yes, please!!! Easy Peasy! Good one….looks yummy…Am craving a late night dessert now! You’re so sweet! I’m sure Nancy has been very moved by your action… and what a lovely dessert you brought to FF! This looks and sounds yummy! Definitely a perfect celebration cake for Nancy! 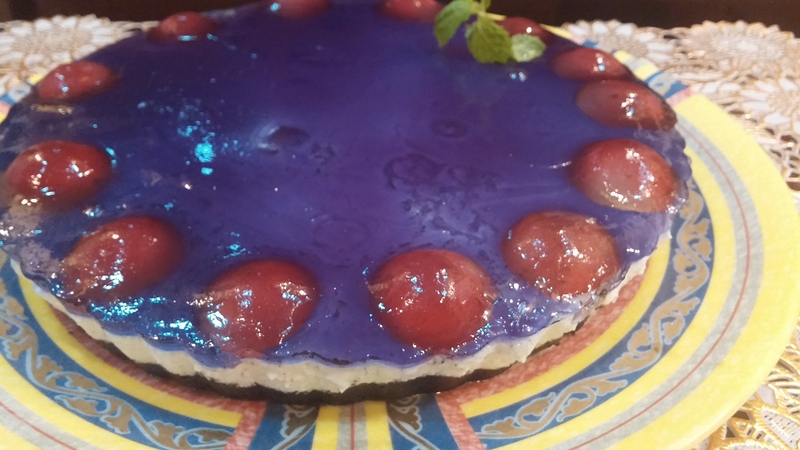 Thank you Michelle 🙂 That’s so nice of you..
How fun-cheesecake decorated with grapes! Wow, I absolutely love this creation, so unique! Thank you for bringing to the party! Thank you Chef 🙂 for your kind words..
Hung greek yoghurt? whats that? It is yogurt which I put in a muslin cloth or any thin cloth napkin and hang it ( preferably on a sink tap ) to let the water to drain away for about an hour. What you are left is with a cheesy yogurt resembling cream cheese. Just a trick to cut down on calories. Wow! thats pretty cool.. I don’t eat cheese at all.. though this reads like it would be good! Very lovely of you to do this for Nancy 🙂 The cheesecake looks wonderful! I think my husband will want to come over, room for shrek? they knocked! quite polite they are!